A few years ago I attended a Passion Play/Musical at a megachurch where I used to live. The play ended up being a sort of Cirque-du-Soleil performance of humanity from Adam and Eve to Jesus with a glorious ending in the resurrection. When I say glorious, I mean people dancing in the streets, crowds shouting as Jesus exited the tomb, full choir singing joyful hymns, general revelry all around. To say the least, I was perplexed. Between the four Gospels and the account of St. Paul, Jesus seems to have appeared to people post-resurrection around a dozen times at the most. Paul recounts five times in 1 Cor 15:5-8; John’s Gospel offers four times; Luke’s Gospel offers only two times; Mark is tricky–the “original ending” gives only a hint of Jesus rising, the “short ending” gives a vague account of Jesus appearing, and the extended director’s cut edition (or “long ending” according to scholars) has Jesus appearing three separate times; Matthew’s account has Jesus appear twice, but a different two times from Luke. Taking for a moment only the Gospel accounts, the most people Jesus ever appeared to at one time was 11. Even if Paul is correct and a larger appearance of Jesus occurred, it is quite interesting that the four Gospels make no mention of it. This larger appearance could have been when Jesus was ascending into heaven or, as Luke writes, as Jesus led all of his apostles to Bethany before he ascended. Whatever the case, it is quite clear that Jesus’ revelations were few and far between. A few apostles, a few women, maybe some others. All to people who were scared to see him in the first place (the first thing he says in almost every appearance is “peace”). Unlike Mel Gibson’s Passion of the Christ, there was no triumphant music accompanying Jesus as he rose from the dead. 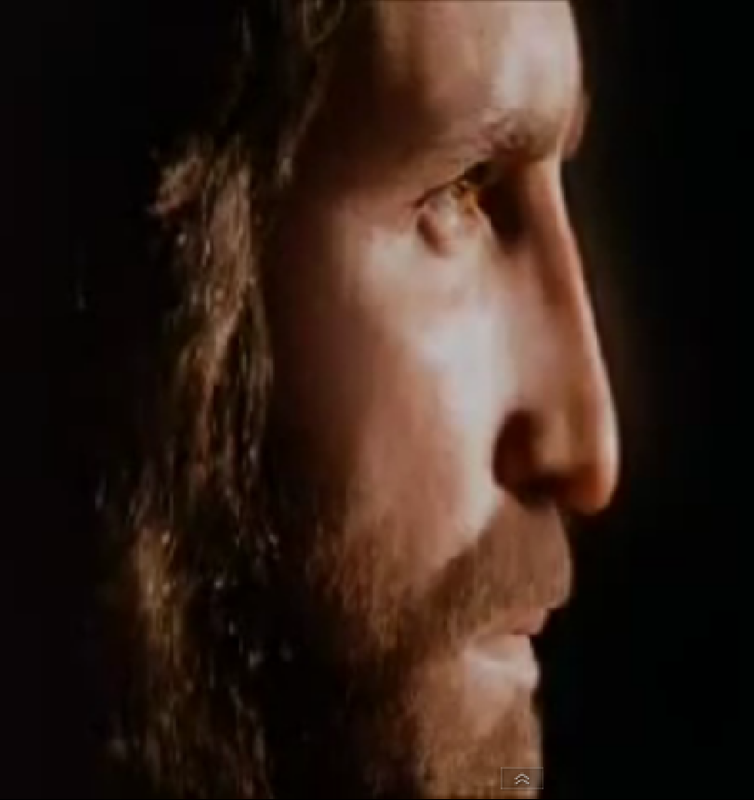 I found it almost comical when, after the terrifying and painful crucifixion scene, Jesus appears stone-faced like C.S. Lewis’ Aslan, a mighty lion waiting to roar. This portrayal strays far from the appearances of the risen Jesus in the Gospels. There, Jesus greets people like a brother, a friend, a teacher…anything but a determined, no-nonsense, look-at-my-leg-through-the-wound-in-my-hand Jesus. Unfortunately, the megachurch performance I witnessed and Mel Gibson’s film are not the only two entities that portray this image of the risen Christ. Within Christian systematic theology, soteriology is an area of study focused on how, precisely, salvation works. One rather prevalent soteriological theory is called “Christus victor,” and argues that Jesus’ death and resurrection saved humanity by defeating the powers of evil that held humanity captive. Christ is the victor over death and all the death carries with it; evil has lost the war and will be forever wiped out at Christ’s second coming. This is a rough sketch of the theory, but you get the idea. Now, one could do alot worse than Christus victor as a theological model. However, the theological model has taken on life of its own over the past century or so, especially in the United States. An intrinsic difficulty with the model of Christus victor is its reliance on a military frame of reference: victory, by definition, requires conflict; conflict, by definition, requires violence of one form or another (psychological, physical, verbal, etc). Thus, Christ’s victory must require violence to someone or something. Even if the object of this, say, theological violence is evil itself, the concept of condoning violence permeates through a theological framework onto political and social cultural norms. To put more clearly, Christ’s victory over evil and death has become a political victory over the forces of evil, which you can define as just about anything you don’t like. Christ’s violence–in this model–towards evil condones violence towards manifestations of evil in our lives. As such, the image of Christ as strong, powerful, and physically intimidating has become increasingly popular, especially in the United States–still the world’s lone superpower. The intrinsic connection of this image of Christus victor and the call for violent military wars against “injustice” around the world do not have to be spelled out here. Here are two classic and popular images of Christ’s might seen from an American context. As works of art, I find both pieces quite provocative, but as public and quite large displays of Christianity on two of the most well-known Roman Catholic universities in the United States, I find them both somewhat troubling in their respective contexts. "Word of Life," better known as "Touchdown Jesus" - as seen from Notre Dame's famous college football stadium. Jesus' might is football might. However often this notion is laughed as silly, the image speaks for itself. "Christ in Majesty" - Basilica of the Immaculate Conception, Washington, DC. While the original intent of the image, I believe, was to capture the essence of the power and glory of the ascended Jesus, it reads very differently in the context of the modern US political climate. All things considered, this is not really surprising. Christianity, the religion of the poor, the helpless, the crucified, has finally reached superpower strength around the world. One-third of the world is Christian. There are over one billion Roman Catholics. As the military power of Christians grew, so did the image of Christ as military hero and savior. Yet, still, there remains evil. And violence. And persecution. And injustice. And hate. The truth is, we yearn for the Christ whose victory is over the entire world. We plead for the Christ of the Washington, DC, Basilica, glowering over the world. We watch Notre Dame football, see the Touchdown Jesus, and pray to God that this vision of Jesus will come soon to save us all. But this is simply not the Jesus who appeared to Mary Magdalene and a dozen more. This Christ is quite opposite the one in the Gospels, the one who followed in the footsteps of Isaiah and Jeremiah…the One who fulfilled the Jewish scriptures while holding them intact, holy, beautiful, and good. The One whose resurrection was not a Second Coming with bright lights and a rock band into the cheering multitudes of waiting followers. Christ’s resurrection was quiet, humble, and pointedly revealed to select few women and men. There was no celebratory feast (unless you count an impromptu breakfast). There was no loud raucous party. There was no re-entry intro Jerusalem. There was mercy, there was peace, and there were the revealed words of Jesus in the breaking of the bread. Then, like that, Jesus ascended into the clouds. Let us not put more into the Gospels than the Gospels provide for us. The resurrection is seminal, but it was an epilogue, an eventuality, a proof of the Truth that had been preached by Jesus for his entire ministry. Let us remember than ministry today, instead of the assumed power that accompanies a risen Jesus. Let us remember the poor, the terminally ill, the orphans, the victims of abuse, the hungry around the world, the prisoners–both justly and unjustly, the mistreated, the despairing, the brokenhearted, the spiritually lost, and whoever is the least in every society and culture. These people are the reason that Christ rose from the dead.